AC Service, AC Repair, & AC Install in Plano and Surrounding Areas. Kool Koncepts has been performing AC services for 13 years in Plano, Frisco, Allen, McKinney, and Richardson. Kool Kocepts AC certified contractors are available for both installations, tune-ups and commercial HVAC. Kool Koncepts is certified to install systems, such as the unstoppable TRANE, for both residential and commercial properties. We want to make your life a little easier. That is why we allow you to make online payments. 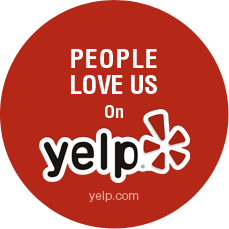 Thank you for choosing us. When time is of the essence, Kool Koncepts financing options are just as comforting as our services! Kool Koncepts provides tune-up services on all makes and models whether almost ancient or nearly new. Kool Kocepts offers certified specialists for commercial HVAC repair and installation for businesses both big and small. Help is just a phone call away with hassle free financing, Kool Koncepts can make your new HVAC installation a breeze. One day it’s hot the next it is cold. Kool Kocepts are the furnace repair experts are here to help. Never fear the cold again! Kool Koncepts can repair your furnace in a flash. With a fleet of service trucks, Kool Koncepts is always near you. Headquartered in Plano, Texas, Kool Koncepts has been providing air conditioning, heating, and ventilation services to Allen, Carrollton, Dallas, Fairview, Frisco, Garland, McKinney, Murphy, Lucas, Richardson, Sachse, Wylie, and surrounding areas for over thirteen years. 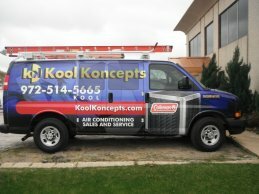 Kool Koncepts is a fully licensed and insured air conditioning, heating, and ventilation contractor who is proud to have achieved an unsurpassed reputation for honest and excellent customer service. We specialize in providing solutions for your heating and cooling needs. Whether you are the homeowner or large commercial property, our EPA certified, comfort specialists continually strive to deliver prompt project completion so that your home or business is as comfortable as possible, as quickly as possible. Our installation team is focused on serving your system, not pressuring you into buying products or services you do not need. Kool Koncepts uses the unstoppable TRANE system which has the most innovative products and equipment in the industry. Equipped to handle both large corporations and first time home owners, we combine personalized service with precision and attention to detail. Our highly trained staff of certified technicians is dedicated to serving your needs effectively and efficiently. As your comfort specialists, Kool Koncepts has the tools and experience to keep your air conditioning and heating equipment running smoothly season after season. We offer after hours emergency service to assist you when time is of the essence. To help reduce the likelihood of those types of emergencies, we offer HVAC maintenance services to keep your comfort system running at peak performance. With the ability to service all HVAC systems, Kool Koncepts highly trained and certified technicians are prepared to take care of all of your air conditioning and heating needs! Whether you have lived in Texas your whole life or you’re just visiting, Texas summers are world renowned for their face melting heat. So clearly, going without air conditioning is not an option! With Kool Koncepts maintenance services, taking care of AC repairs early means you can two-step around any Texas summer with ease! So, if your air conditioning and heating system are performing at anything less than optimal, please contact our office at 972-514-5665 (KOOL), because it would be a whole lot cooler if you did. For over 13 years, Kool Koncepts has provided expert installation of new air conditioning and heating systems to homeowners throughout Allen, Carrollton, Dallas, Fairview, Frisco, Garland, McKinney, Murphy, Plano, Richardson, Sachse, and Wylie areas. Whether you are upgrading your air conditioning system for better efficiency or building your dream home, our comfort specialists will design a system that will meet your budget and surpass your expectations. Our extensive knowledge allows us to meet any budget while providing superior service that surpasses all our competitors. The pride and joy of our company is treating our customers and their homes as we would treat our own! With our high level of service excellence, Kool Koncepts can cater to all your AC and furnace needs. Kool Koncepts provides honest, quality commercial HVAC services to the Allen, Carrollton, Dallas, Fairview, Frisco, Garland, McKinney, Murphy, Richardson, Sachse, Wylie, and surrounding commercial markets at competitive prices. Being business minded, we understand that keeping your customers and employees cool is of the utmost importance. When time is money, you can not afford to let either lose their cool. Our experienced service technicians are always ready to provide fast, efficient and courteous service to your small business, retail shopping mall, financial institution, medical practice or office building. No matter the size of your business, we’ve got all your cooling concerns covered. To learn more about our commercial HVAC services, please contact Kool Koncepts at 972-514-5665 (KOOL) or click the service link to schedule a consultation. Kool Koncepts can service all your HVAC needs whether in Allen, Carrollton, Dallas, Fairview, Frisco, Garland, McKinney, Murphy, Plano, Richardson, Sachse, Wylie or the surrounding Collin County areas of the DFW metroplex. Our team of factory-trained, comfort specialists provide maintenance and repairs to existing systems, as well as complete system upgrades. 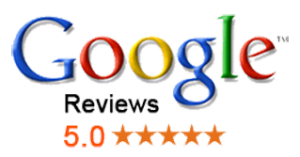 For many years, Kool Koncepts has earned the trust of homeowners and businesses alike. We are proud to provide the very best in HVAC equipment and services in the DFW area. If you have any questions, comments or concerns, please contact Kool Koncepts at 972-514-5665 (KOOL) or click the service link to schedule an appointment because it would be a whole lot cooler if you did. Because we are centrally located in Plano, Texas, Kool Koncepts is happy to serve the DFW metroplex and the surrounding cities located in Collin County. If you do not see your city in the below list, please give us a call at 972-514-KOOL (5665) to see if we service your area because, say it with us, it would be a whole lot cooler if you did. Air conditioning repair is not something easy, especially for those who do not have enough knowledge about the complete system. So, Air conditioning repair companies are in high demand. Do you understand the basics of your Air Conditioning & Heating Unit? If no is the answer, you are likely to end up losing money. There are tons of resources on the internet and especially Youtube.com. Here are some of our tips and tricks. Maintenance checks should be done yearly. Make sure you are removing or replacing the filters, cleaning the dust, and doing some certain things as per the manufacturer’s recommendations. You can easily do these things on your own. Additionally, you can also keep the area of your outside unit clean and duct-free to create good drainage. Spending a few hundred dollars over the years getting your AC system looked at by a reputable company is better than spending thousands on a new unit. Do you know what type of unit has been installed in your home? Without adequate knowledge about the type and specifications of your unit, you own you could get into some trouble working on it yourself. You should always keep the user manual in a place which is not only safe but also easily accessible. What distinguish air conditioning units? Many homeowners may have a misconception that their air conditioning units are the same as their heating units. However, the difference usually depends on the type of unit you have installed. In some cases, there are air conditioning units which are equipped with heating. Such units are sometimes called ‘Package Units.’ However, you can choose to separate your air conditioning units from your heating units which depend on your demand. As mentioned above, it is always essential that you have adequate knowledge about the types of air conditioning or heating units if you need to search for professional heating or air conditioning repair.